I am a Mental Health and Addictions counselor licensed in Indiana with 13 years of experience providing services to diverse individuals in various systems of care. I have worked with clients' issues ranging from mood, anxiety, parenting, mental health, addictions, relationships, disabilities/rehabilitative issues, and trauma/trauma related issues. I am certified in trauma therapeutic techniques. My counseling style is genuine with an emphasis on listening, respect, and compassion for an individual while addressing their identified goals through a therapeutic rapport that empowers them. My eclectic approach to issues includes cognitive-behavioral, narrative, and trauma focused counseling among others that may be needed for tailoring each concern. I appreciate the opportunity to address your individual needs and applaud the courage it takes to take that first step. I look forward to helping you climb higher in your journey. Adrienne has helped me immensely. She has given me several tools to help me with my depression and is very focused on me getting better for myself and being able to navigate depression at my own pace. Would definitely recommend her! Adrienne is very attentive and listens well. I feel she has worked hard to understand to root causes of my issues. Counselor Brown is insightful, responds in a timely manner, understands me I think, and is encouraging. She is quite adept at helping me see some perspective in my life when I am not able to. I would highly recommend her to anyone looking for help. I have been to two sessions with Adrienne so far I don’t have a lot of experience with her, however, I feel completely confident saying she really listens to me and wants to help me. I think this is the first time someone has ever given me their complete and undivided attention and actually heard what I was saying. Adrienne has been a breath of fresh air. She really helps me work through things and has great tools to help me through whatever process. I’ve never had someone so attentive and knows what she’s talking about. She doesn’t fake the funk! I only had a few sessions but I'm more than confident that she is extremely relatable to my needs. She listens and give excellent feedback. I'm excited about what's to come with my work with her. Adrienne is a very good listener and she provides different ways to help resolve your conflict issues. I appreciate her completely honest feedback. Very thoughtful and compassionate, yet direct which I sincerely desire and appreciate. Adrienne has been kind, supportive, and helpful. She has made a profound impact on me, even though we've only completed 3 sessions. She introduces perspectives that allow me to better myself and grow. Adrienne has been very knowledgeable, patient and understanding. She has been very professional, and has shown to be caring, and genuine in her responses. Adrienne Brown has been counseling me for a couple of months now. She is very prompt responding to messages. I love how after each session she gives me something to work on wether it be worksheets, or a video to watch, or a goal to make. I feel like she is very experienced and she is very positive and uplifting. Also, sometimes I am not very good at keeping in regular contact but she always is checking in on me and encouraging me. I highly recommend Adrienne Brown!! Adrienne is wonderful and understanding. Adrienne has been great with me. A lot of times I am very scattered with my thoughts and she lets me go wherever I need to go with my rambling. She's a wonderful, compassionate counselor. She's helpful, her methods work, and most important of all, she cares. 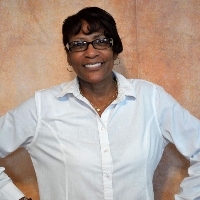 Would you like to write a review for Adrienne Brown? We'd appreciate if you can spend a couple of minutes to write a short review for Adrienne Brown (MSW, LCSW). This review would be shared with Adrienne Brown. It may also be posted in our website or in Adrienne Brown's profile but it would be anonymous and your identity would be kept completely confidential.